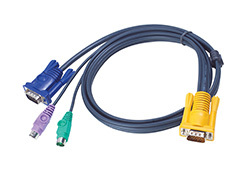 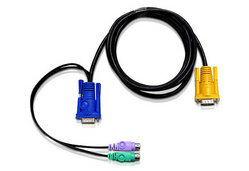 One PS/2 console controls 8 computers; Daisy chain up to 31 additional units - Control up to 256 computers from a single console. 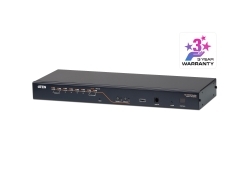 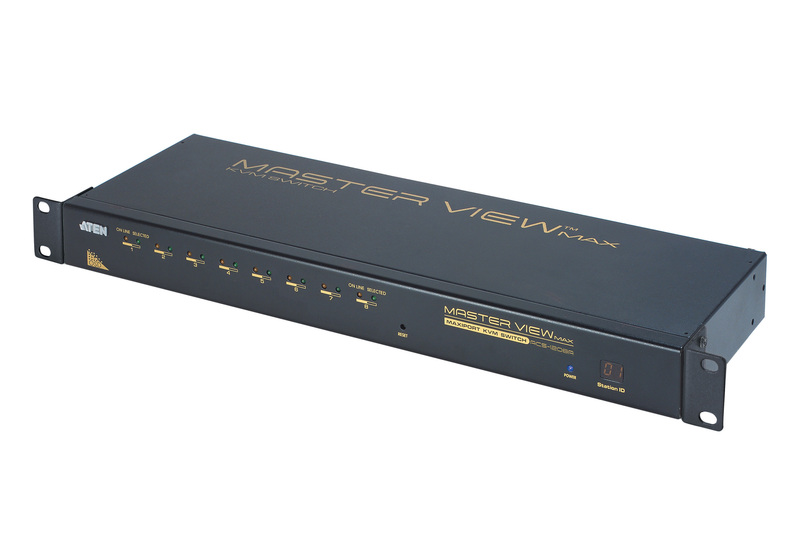 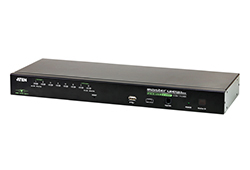 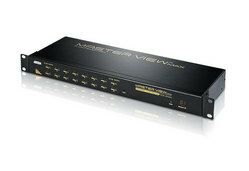 ATEN's high performance KVM switch offers one of the most streamlined approaches to server-network management. 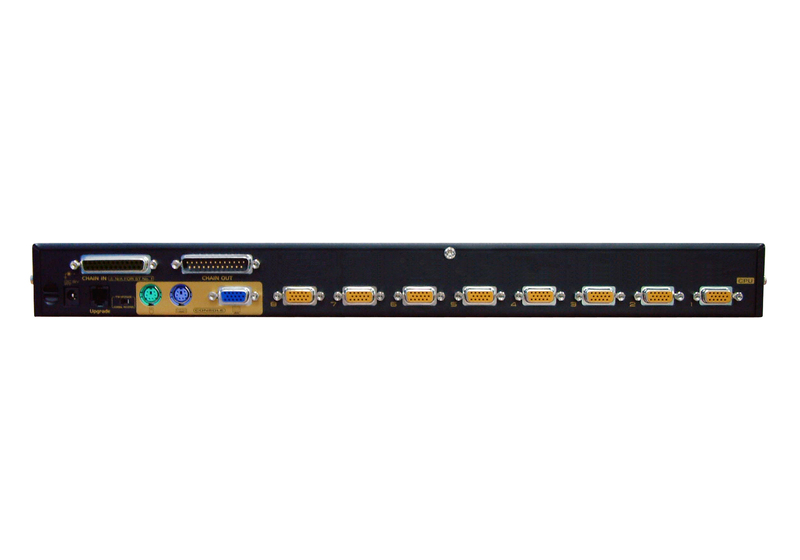 With its advanced engineering and high density console connectors, a single unit occupies only 1U of rack space and can control up to 256 computers. 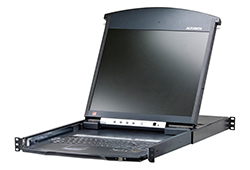 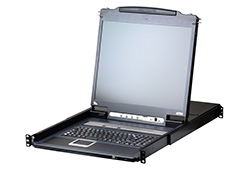 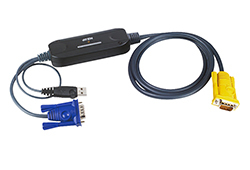 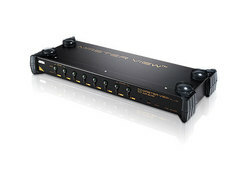 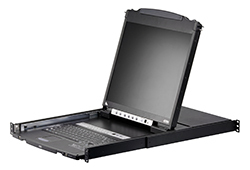 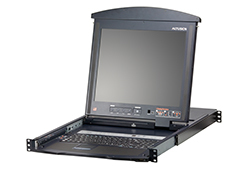 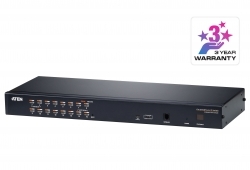 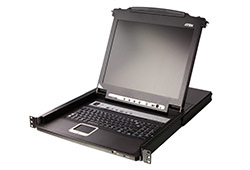 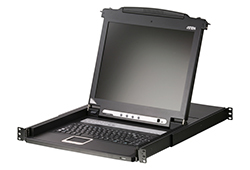 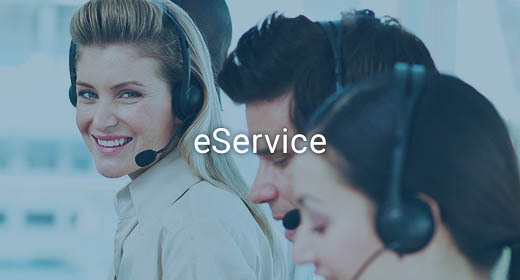 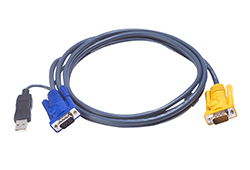 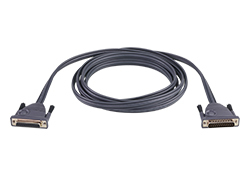 For more information about KVMs which can connect to ACS1208A, see Compatible KVM Table.